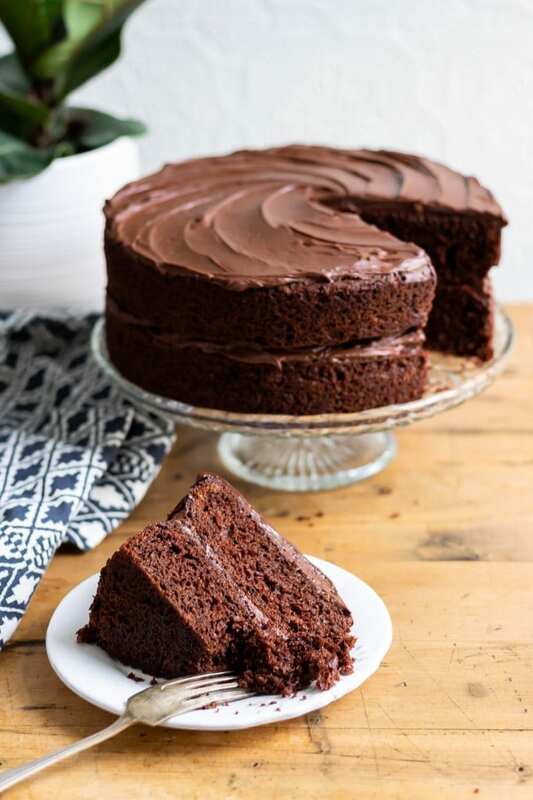 Many people think a vegan cake might be too dry or crumbly compared to a typical chocolate cake filled with eggs and butter. 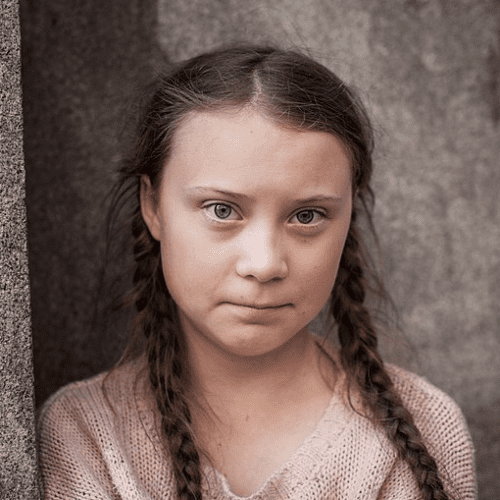 They’d be wrong. 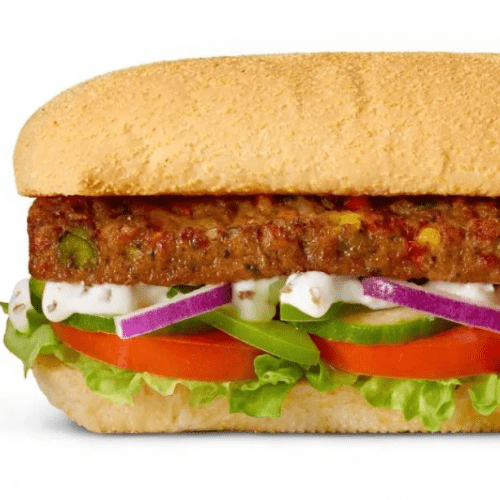 In fact, if you didn’t mention that it’s vegan, people would never know. It’s rich, fluffy, moist and very easy to make. No unusual ingredients. Really quick and easy to make. 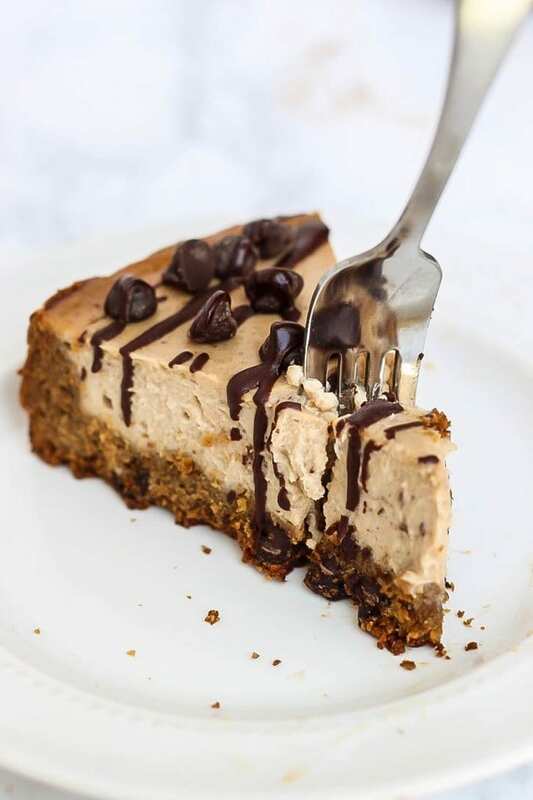 Vanilla cheesecake, slapped on top of a Chocolate Chip Cookie crust… Simple, effective and vegan too! 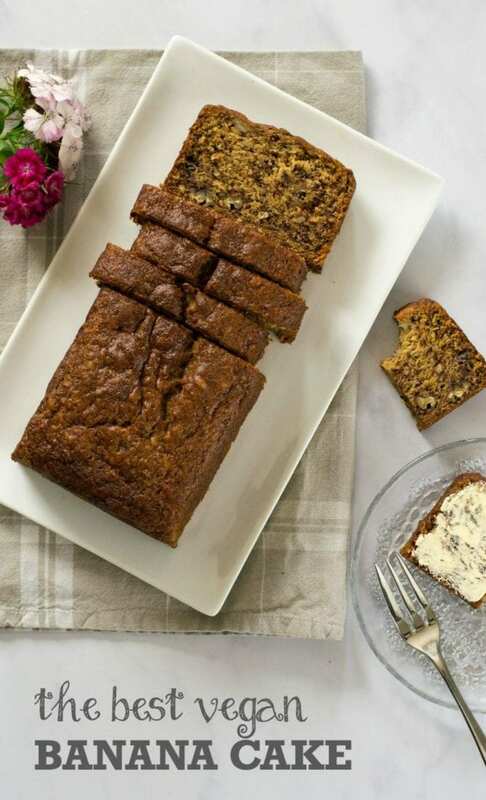 A banana cake is very easy to vegan-ise – just substitute soya yoghurt in place of eggs, and dairy-free margarine in place of butter. 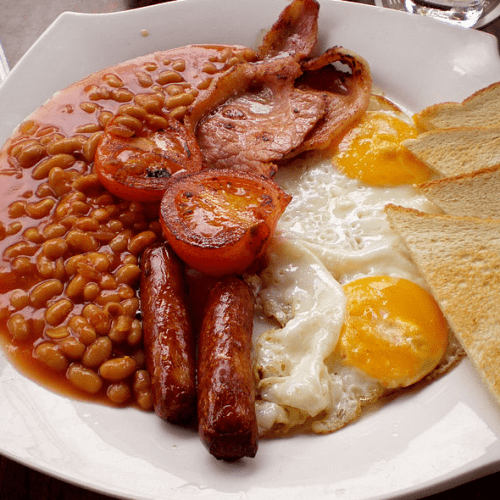 Even better, bananas are often a great replacement for eggs as they’re a natural binding agent as well! 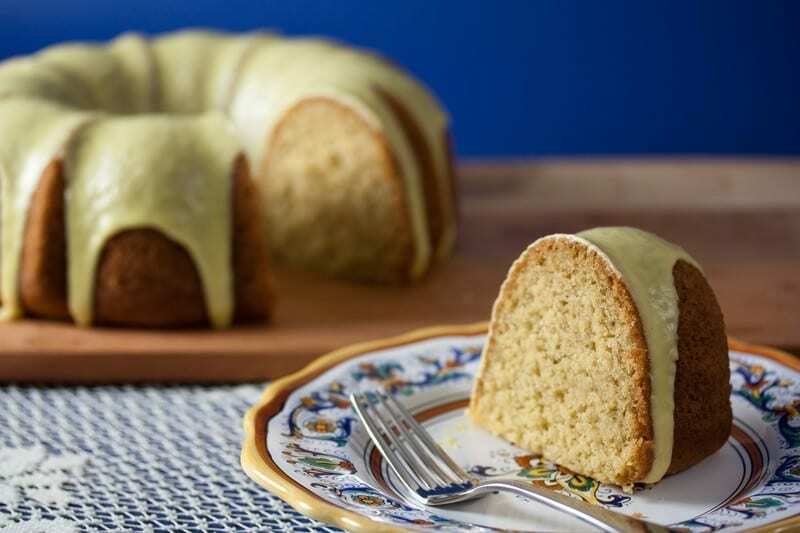 This cake has a superb texture; there are no weird ingredients and it tastes delicious! 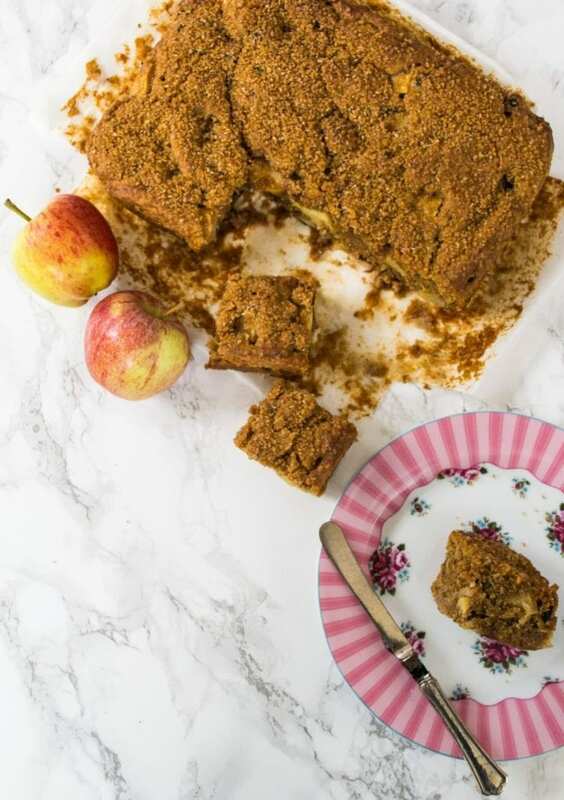 As any good apple cake should be, this cake is very moist. It’s an oaty texture sensation, filled with soggy sultanas, topped with crunchy demerara and will be wolfed down with a cuppa! 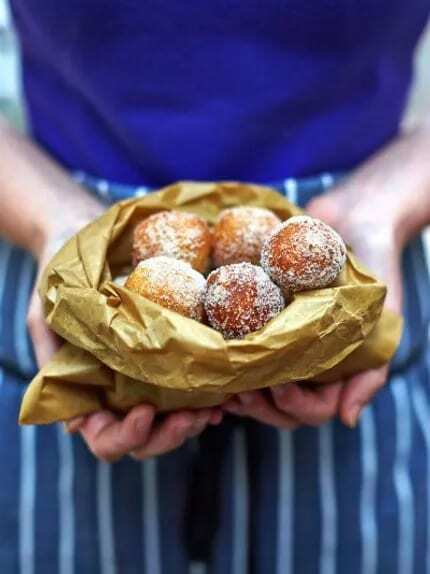 Whilst not technically a “cake”, these buns are too tasty not to include. Almonds, pecans, dates and bananas all play a part in this daring recipe. 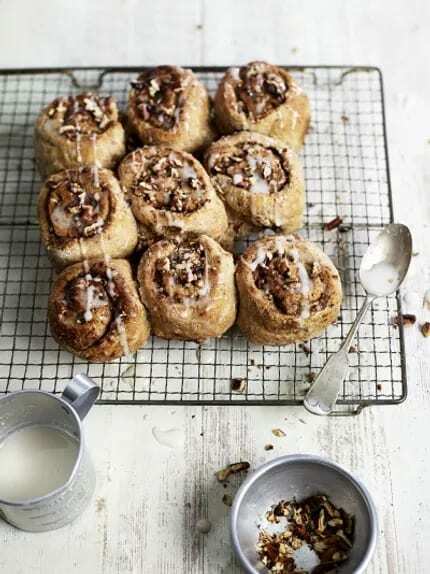 With Easter fast approaching, these cinnamon buns are a great way to show off your vegan baking skills. 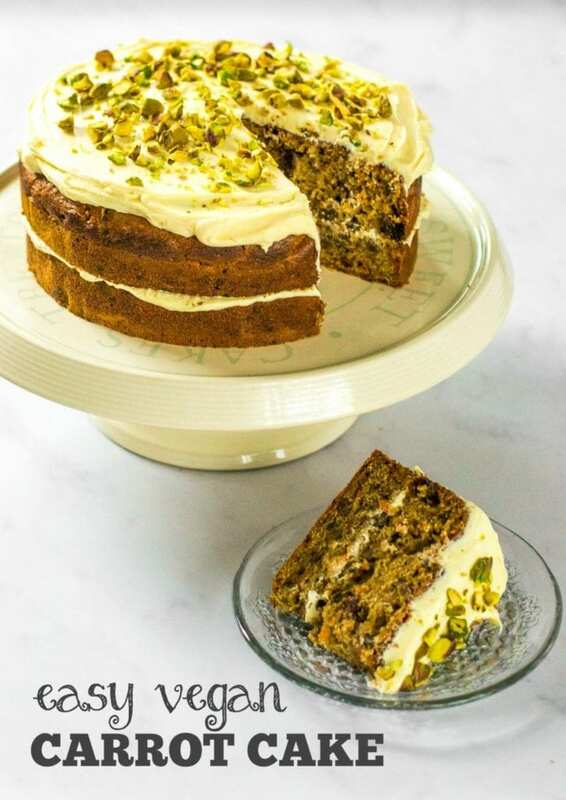 Another fake cake masquerading in this list – but here on delicious merit. Hot, crisp and sweet, these will make a great treat for anyone with a sweet tooth and a vegan heart. 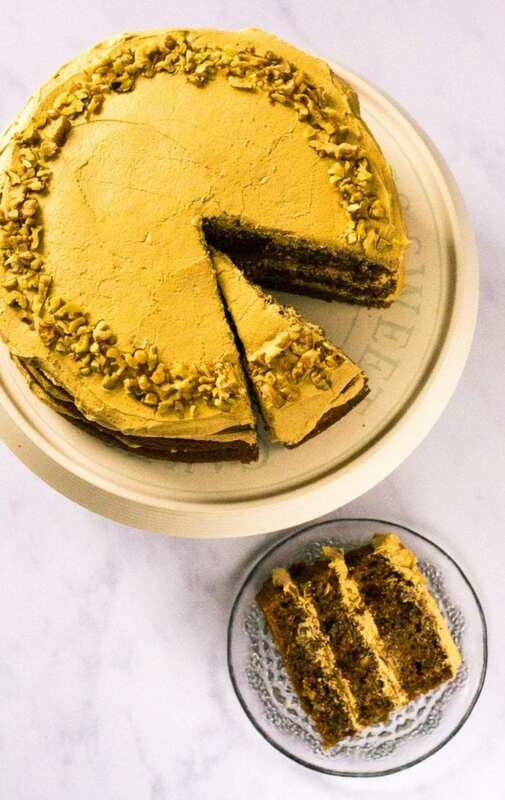 The coffee buttercream on this cake is incredibly creamy and light, paired perfectly with a dark, nutty sponge. There’s just the right amount of coffee to have a strong flavour without turning too bitter. These cupcakes are super easy to make – put them together in just over half an hour. 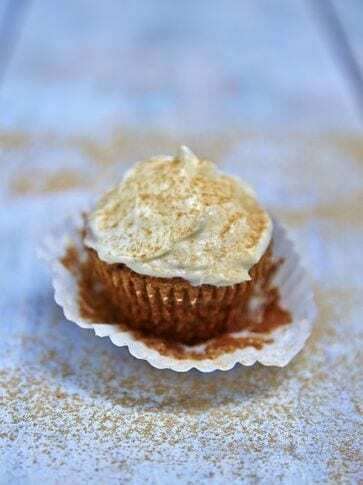 They’re topped with a deliciously rich cream cheese icing and spiced to perfection. We all love a simple sponge cake. And now you can enjoy the vegan version. 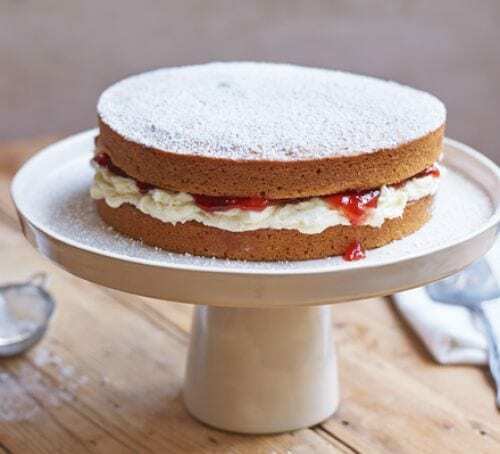 Perfect for afternoon tea, tuck into this traditional Victoria sponge with a vegan twist. 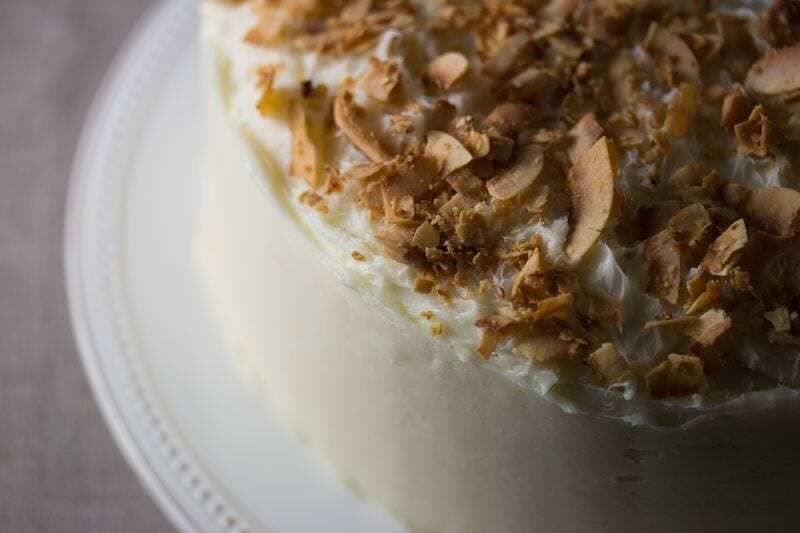 Despite the long list of ingredients, this cake is a fairly simple one to put together – with amazing results. 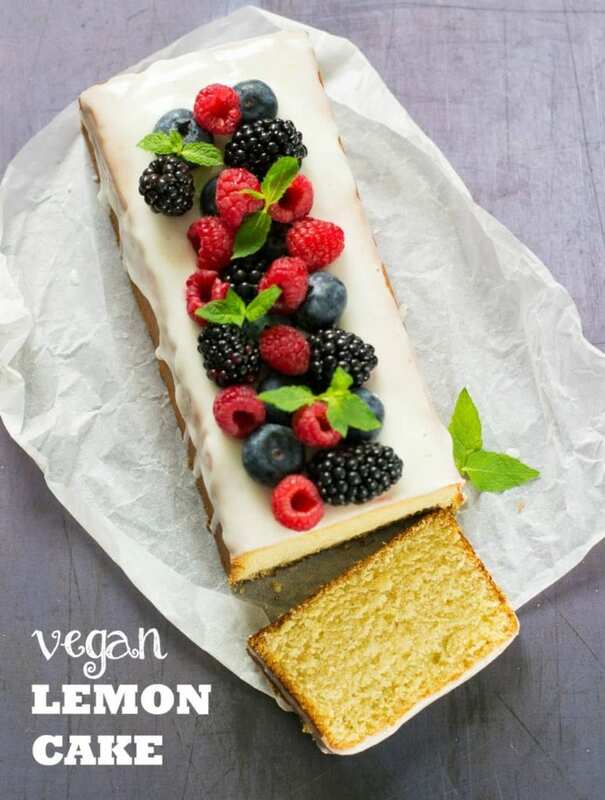 Now vegans don’t have to miss out on one of the best cakes around because it’s a dairy-free cream cheese icing that tops this cake. The flavour compounds in coconut, lactones, are similar to those that give traditional dairy cream its “creaminess”. As such, coconut’s adds richness to almost anything. 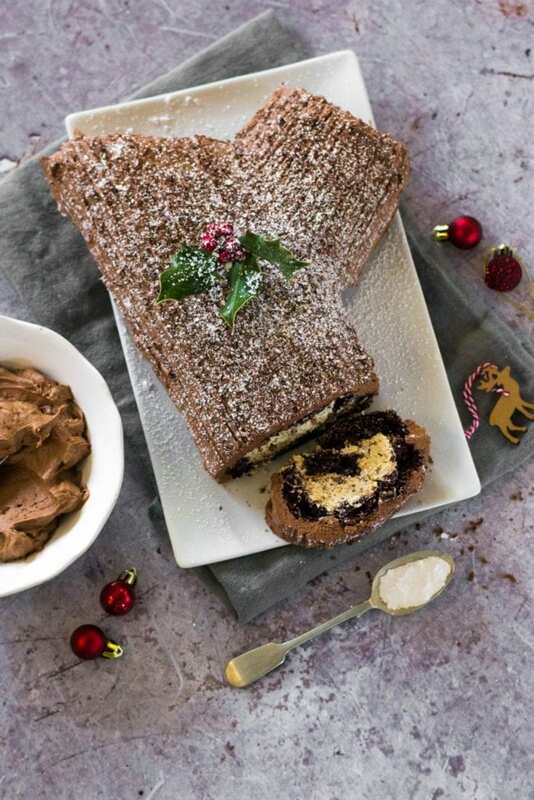 Light chocolate sponge rolled up with buttercream, chestnut purée stirred throughout, covered with chocolate buttercream and decorated to look like a snowy log… does it get more festive than that? The magic vegan ingredient ‘aquafaba’ (the liquid drained from a tin of chickpeas) is a replacement for egg whites that works well for this Christmas masterpiece! 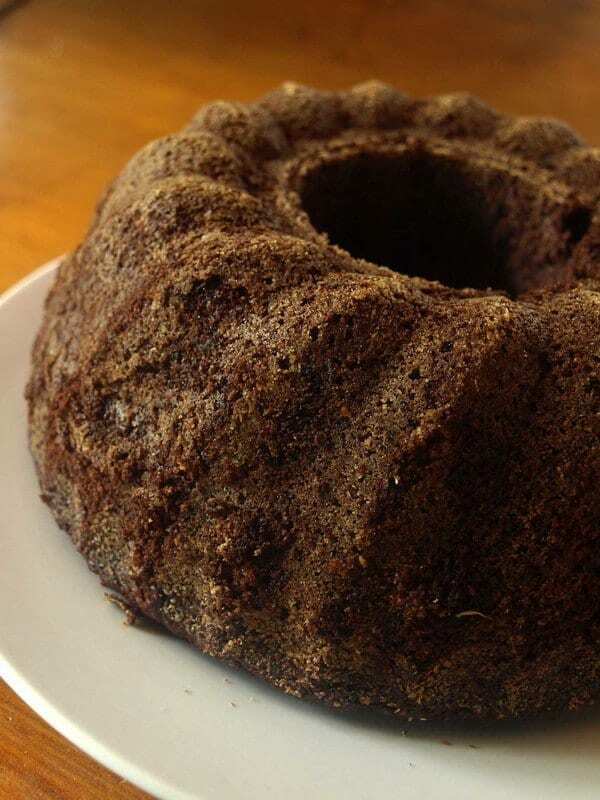 In 10-15 kitchen minutes and 60 minutes baking time, you could have this remarkable mud cake – thin and crispy on the outside and moist and dense on the inside, so much that it doesn’t need any icing or accompaniments. This mixture also makes delicious muffins, making 24 medium sized ones. 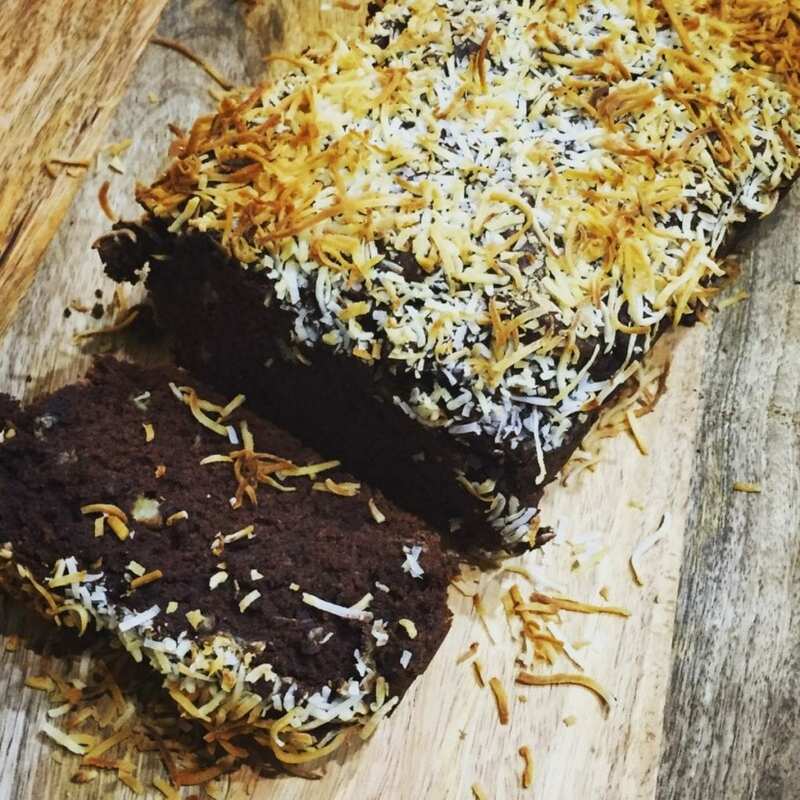 A delicious alternative to the usual banana bread – and vegan, vegan vegan! Olive oil in a cake? Yes. Olive oil can make a great combination of sweet and savoury when it’s paired with fresh rosemary. Drizzle with orange for a once in a lifetime cake experience! 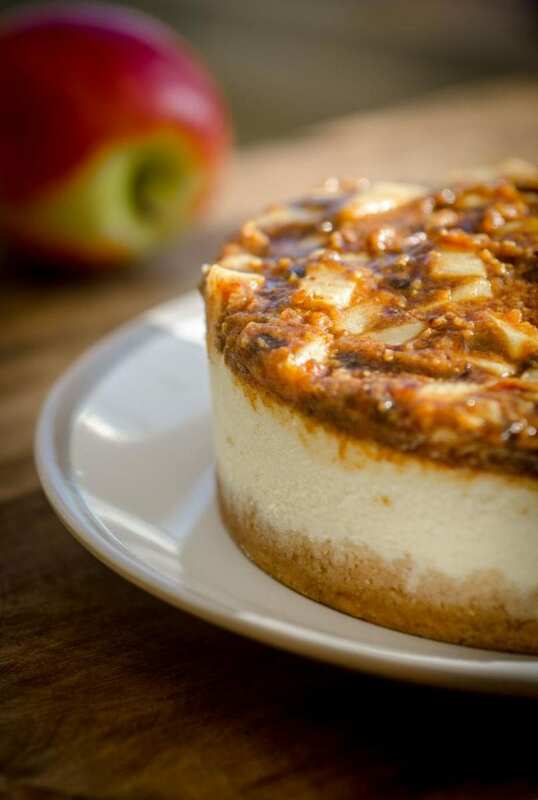 One of the healthier cheesecakes around… and vegan of course! 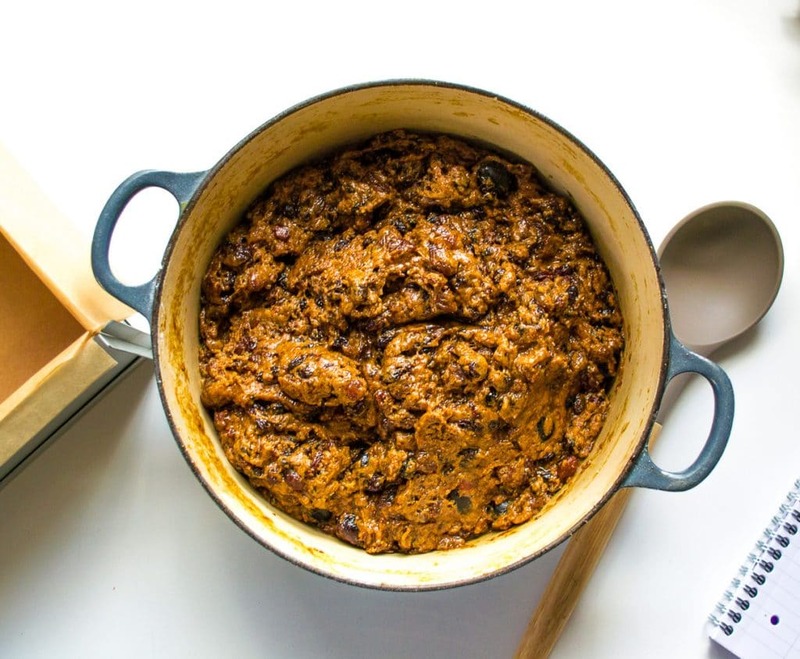 Ever found yourself frustrated and furious that you couldn’t have a slice of rich moist traditional fruit cake at Christmas? With just a few small tweaks, much festive fayre can easily be made vegan – Christmas cake included. 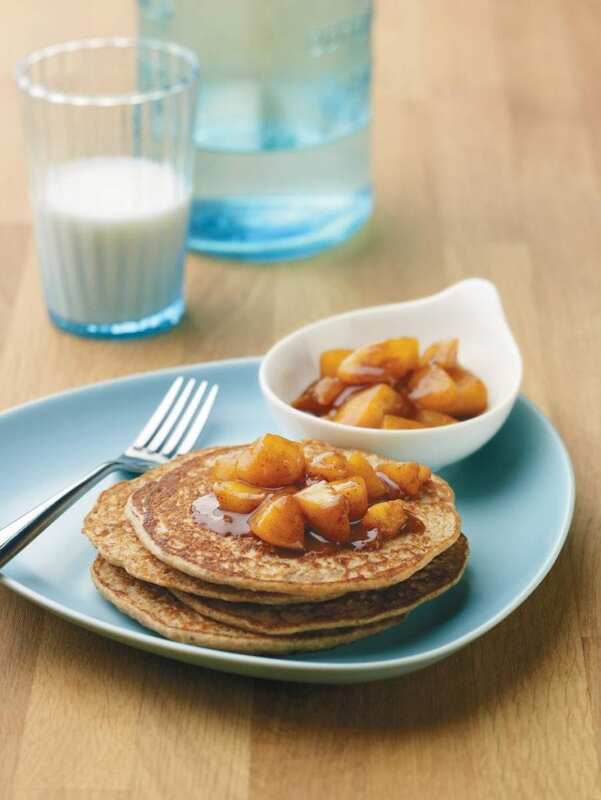 Let’s be honest, pancakes are just an excuse to eat cake for breakfast, aren’t they? Even better, these are enchanted with the nutritional power of beans and full of whole-grain goodness! 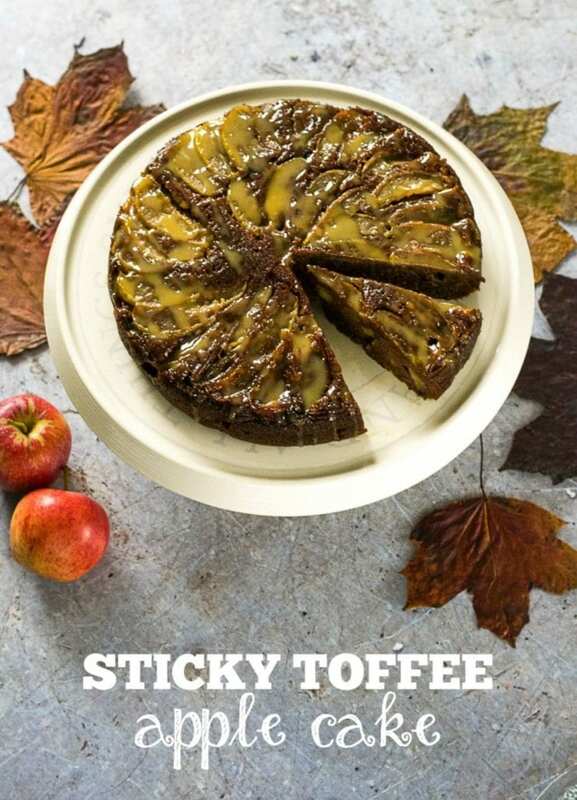 Warm and sticky, dark with treacle, filled with cinnamon and cloves, huge chunks of apple and chopped walnuts… The love-child of sticky toffee pudding and toffee apples. Give it a go, it’s vegan.